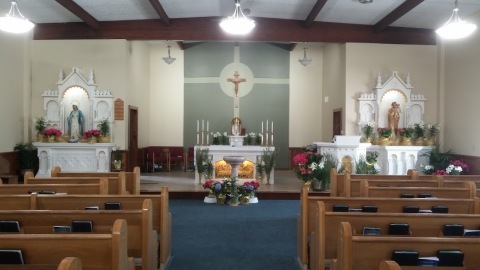 St. Joseph parish is located on the west side of Indianapolis, near the "old" airport. 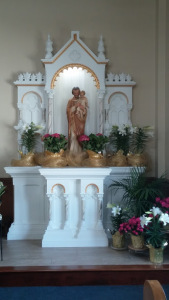 The mission of St. Joseph’s Parish is to be a loving Catholic community serving the spiritual needs of our parish family and those of our neighbors as we aspire to grow in spirit and service as modeled by our patron, St. Joseph. Our most valuable strength is our willingness to volunteer our time, talent and treasure. Let us remember that stewardship is a way of life and that every person and all our individual gifts are blessings from God! Visit the Vietnamese Community online here. 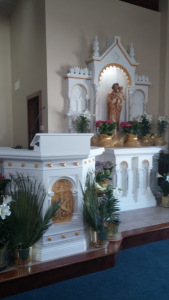 Visit our sister parish St. Ann online here. 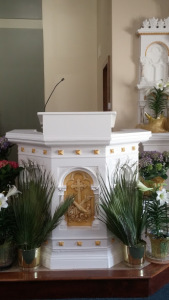 Visit our partner parish St. Thomas More online here. Sign-up for our Carpenter's Bench E-Blast Newsletter here. 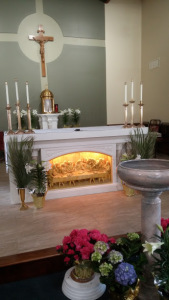 Watch Mass via Catholic TV here. View, download and print our April 2019 Calendar here. View, download and print our 2019 Lent and Easter Calendar here. 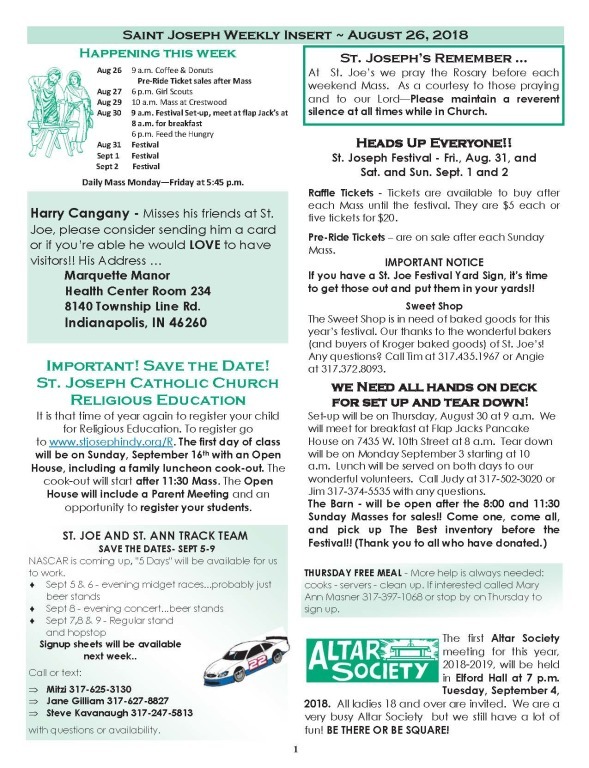 View, download and print our Children's Religious Education Calendar here. Are you Pregnant? Confused? Need Help? Gabriel Project is here to help you! Call Linda at 317-213-4778. We offer someone who will listen to you and support you. Someone who will stand by you. We also have baby items – clothing, diapers, wipes and some equipment to help with your new baby. Suffering is the untold story of abortion. Grief after abortion is normal — it is the grief of a mother who has lost a child in a traumatic way; it is the grief of lost fatherhood. We are here to help you experience the hope and healing of Christ. To speak confidentially to someone who cares - call (317) 452-0054 or visit Begin to Hope Again to begin your healing journey. Traveling? Go to https://catholicmasstime.org/ to find Mass times in your area of travel. 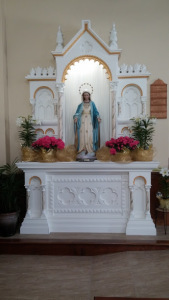 Weekend Mass: The rosary is prayed before the weekend Masses. Coffee and donuts are served after 8 am Mass September through May. 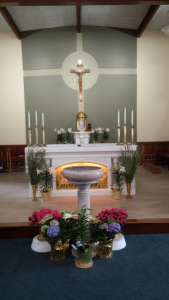 Holy Day Mass: See inside of bulletin for Mass times. Beginning with the week of August 26, 2018, St. Joseph's bulletin has changed format. We are printing a separate St. Joseph's Weekly Insert to go inside the Shared bulletin. Our Weekly Insert can be viewed, downloaded and printed by clicking on the image to the left. 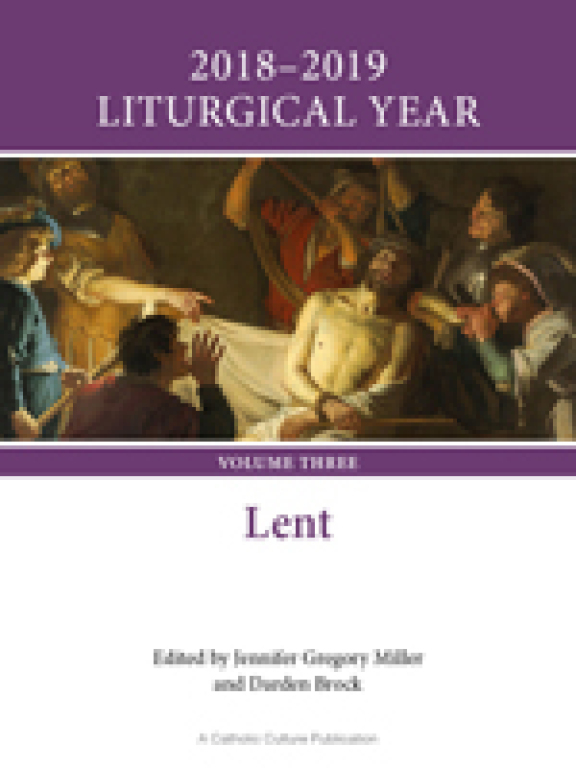 This edition of the 2018-2019 Liturgical Year series covers all the days of Lent, providing a rich set of resources for families to use in living the liturgical year in the domestic church, that is, in their own families. Resources include biographies of the saints to match each feast day, histories of the various celebrations and devotions, descriptions of customs from around the world, and links to prayers, activities and recipes. This Lent, the St. Paul Center is launching their newest Journey Through Scripture study, Genesis to Jesus! 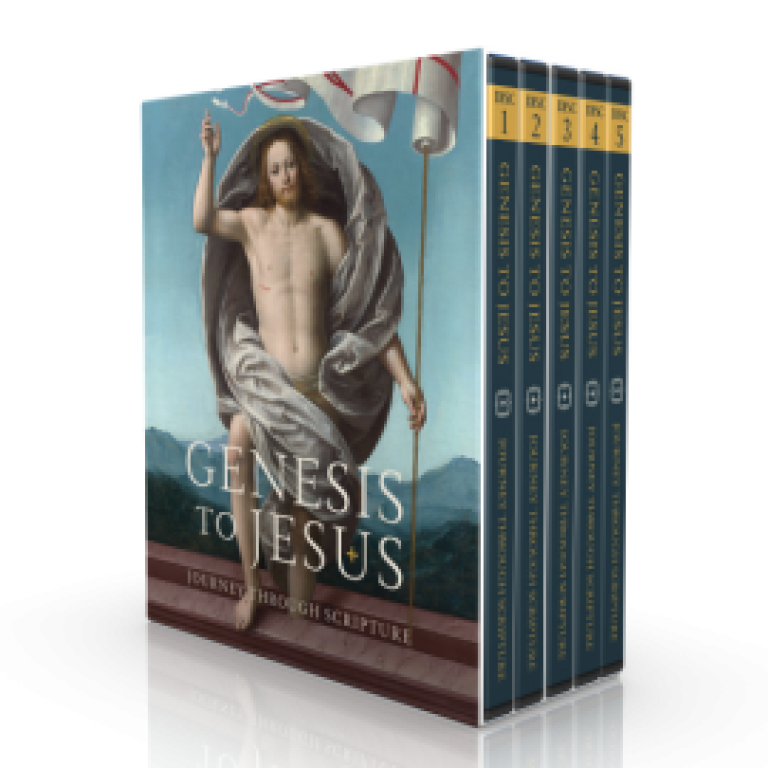 It presents the whole sweep of salvation history, and helps you make sense of the Bible, literally, from Genesis to Jesus. You can view this 12 part series now - just click on the image to register. 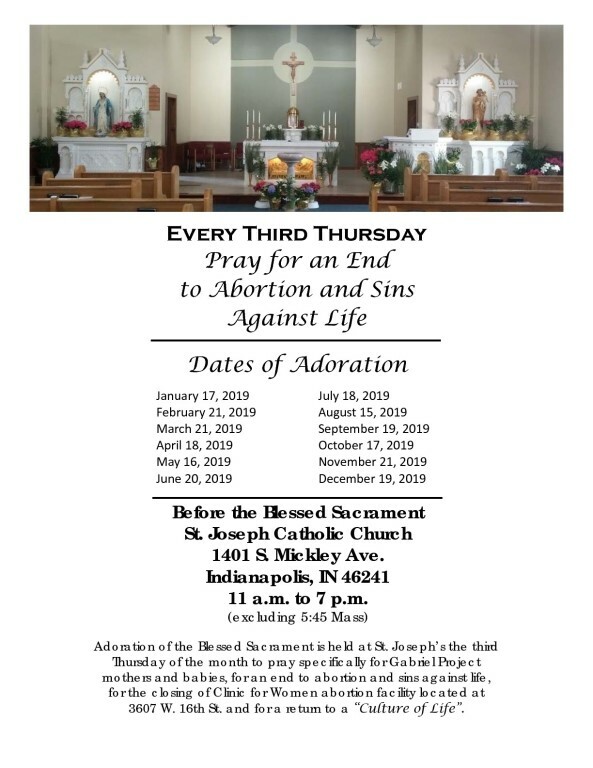 St. Joseph and St. Ann will have a prayer presence on Thursdays at the Planned Parenthood location beginning Thursday, March 7 from 5 - 6 p.m.
40 Days for Life will run March 6th - April 14th. The peaceful, prayerful vigil will be held from 7am - 7pm Monday - Saturday and noon - 7pm on Sunday outside the Planned Parenthood at 8590 Georgetown Rd. Join pro-lifers from across central Indiana in praying to change hearts and save lives. For more information or to sign up to participate click on the image. 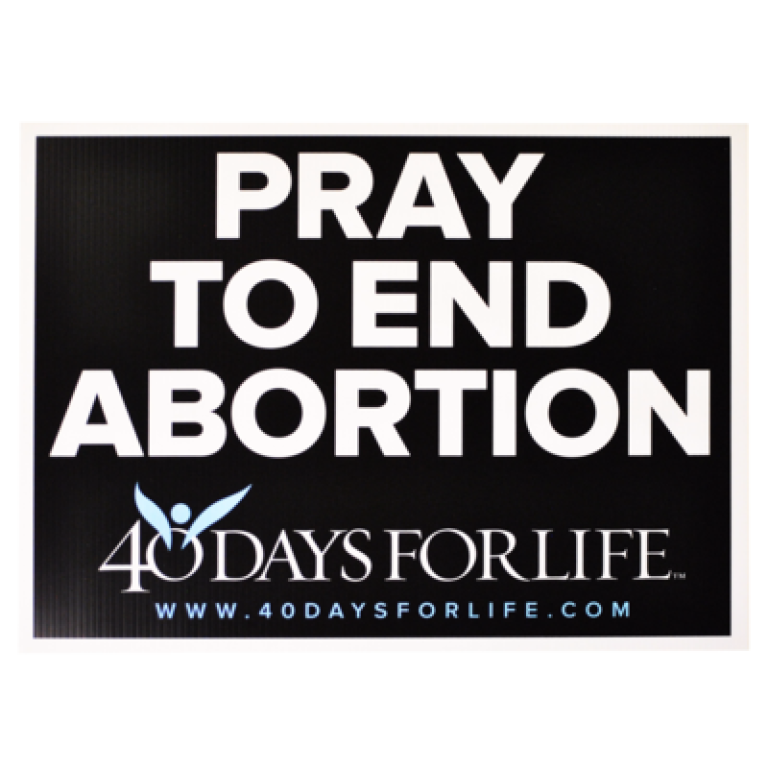 On Saturday, April 13th, a Nationwide Vigil will be held in observance of the fourth annual National Day of Prayer for an end to Abortion. Vigils will be held outside Planned Parenthood facilities throughout the country. The date was chosen since it is just after the release of the movie, Unplanned - the story of Abby Johnson. The local prayer vigil will be at the Planned Parenthood located at 8590 North Georgetown, Indianapolis at noon. The hour includes prayer, hymns, a witness from Silent No More and other talks. Join other Indianapolis area prayer warriors (and at over 100 sites throughout the country) on April 13th, as we gather to pray for the end of Planned Parenthood’s abortion empire! For more info, contact Larry Kunkel at ljkunkel@comcast.net. On Sunday, April 14th at 2 pm there will be a Baby Shower to mark the end of the Spring campaign. Join us in this celebration of hearts changed and lives saved. Participants are asked bring a baby item for the Gabriel Project Resource Centers at Little Flower and St. Joseph. Our keynote speaker will be Pastor Fredrick Boyd of Zion Unity Baptist Church. The Baby Shower will be at St. Luke Catholic Church, 7575 Holliday Dr. E.
40 Days – peaceful, prayerful, and powerful. Adoration of the Blessed Sacrament is held at St. Joseph’s the third Thursday of every month to pray specifically for Gabriel Project mothers and babies, for an end to abortion and sins against life, for the closing of Clinic for Women abortion facility located at 3607 W. 16th St. and for a return to a “Culture of Life”. For more information contact Patty Arthur, St. Joseph's Pro-life Ministry coordinator at 317-244-9002 or e-mail patty.arthur@aol.com. Click on the image above to view, download and print a schedule with monthly dates. Interested in joining St. Joseph's? Are you are interested in belonging to a vibrantly active and loving Catholic community, a place that feels like "family", a community that truly feels like "home"? Are you concerned about the needy and elderly poor in the community and have a strong desire to reach out in Christian charity? Do you have a desire to build fellowship with a community seeking to serve the Lord through enriched friendships, an active parish life and God's call to serve? If so then you have found the right parish. Download and save the Registration Form found here to your computer, complete and submit via e-mail using the "submit" button found in the upper right hand corner of the form. NOTE: You will not be able to submit the form unless you download and save it to your computer. 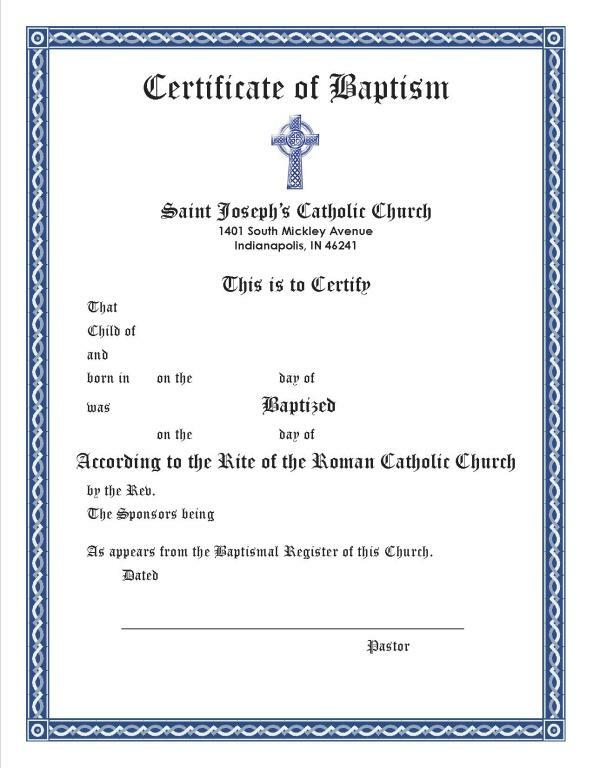 Click on the image to the left to be taken to the Baptismal Certificate Request Form. 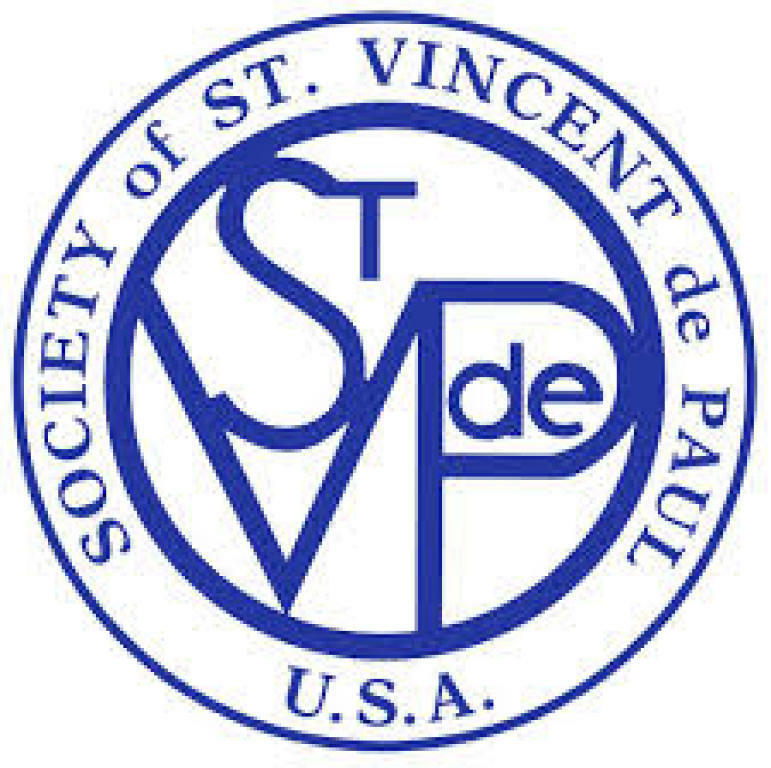 The St Vincent de Paul Society is a lay Catholic organization that aspires to live the gospel message by serving Christ in the poor with love, respect, justice, hope and joy, and by working to shape a more just and compassionate society. If you live in the 46241 zip code and need help with food or material assistance we are here to help. Call St. Joseph's St. Vincent de Paul couple at: 317-981-5613. What is the Respect Life Program? 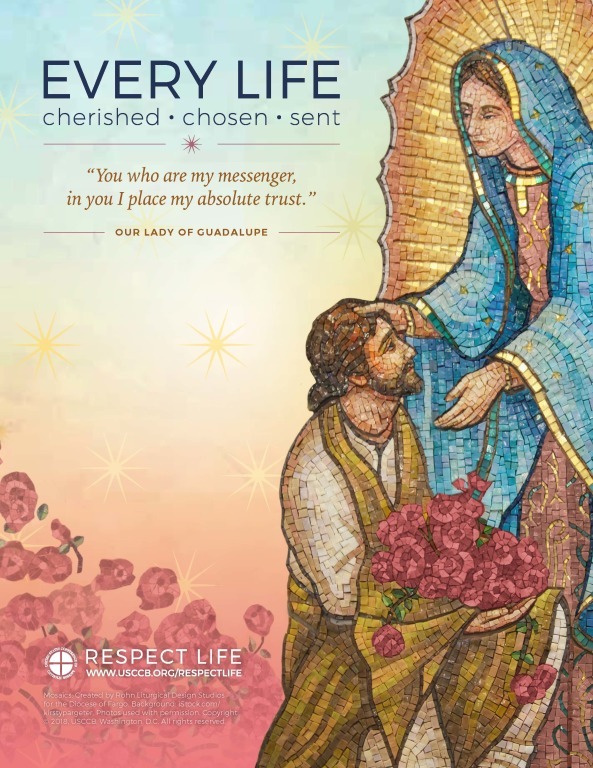 The annual Respect Life Program is a year-round, nationwide effort to help Catholics understand, value, and become engaged with building a culture that cherishes every human life. The U.S. bishops produce these materials to assist you in your efforts. Instead of acting as stand-alone resources, they are designed to be brought to life as tools in your hands. The materials are provided for free by clicking on the image to the left. 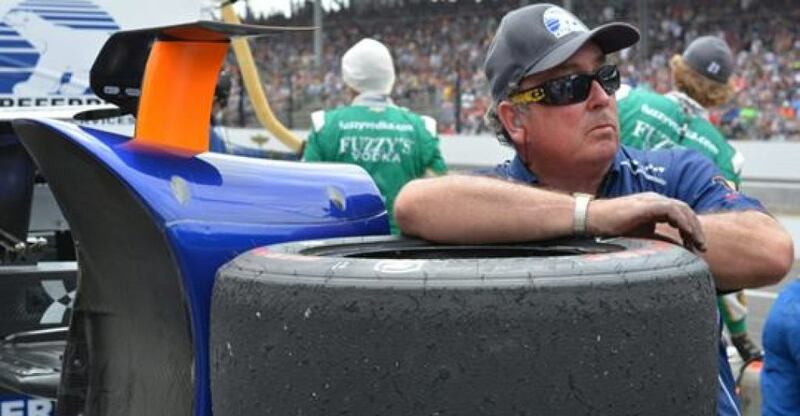 IndyCar's "Priest in the Pits"
Click on the image below to be taken to an article and more pictures from Catholic Digest. Click here and then scroll down for a memorial slideshow. Click here to hear bagpipes in honor of Father Glenn (this one is only available if you are on Facebook). 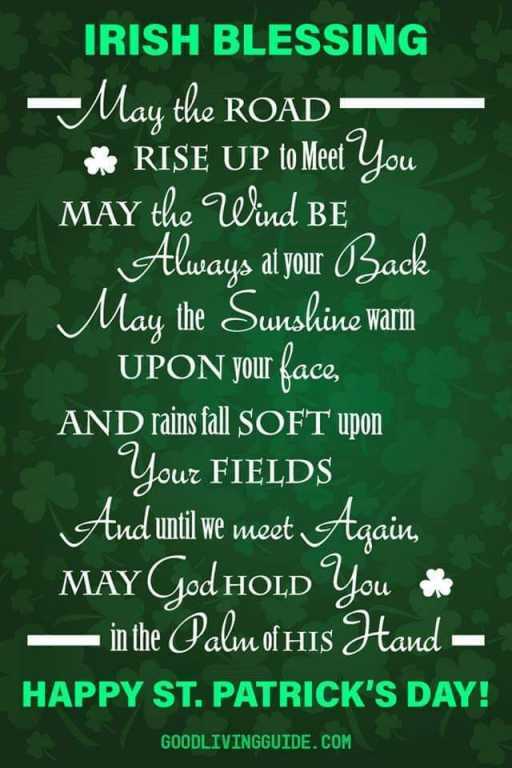 Scroll further down to the Irish Blessing image for Father Glenn's special blessing. The funeral Mass of Father Glenn L. O'Connor will be live-streamed from SS. Peter & Paul Cathedral in Indianapolis at 11:00 a.m. (EDT) on Saturday, March 23, 2019. This will be available to watch in an archived format after the event is over. It can be viewed at www.archindy.org/streaming. Click on the image below to hear Father Glenn's special Irish Blessing. Office hours vary. The Parish Secretary is usually in the office on the following days. PLEASE NOTE: These hours vary and are subject to change.